Stylish clothes should be treated with the utmost respect and certainly not left to drape from flimsy tin-like hangers. 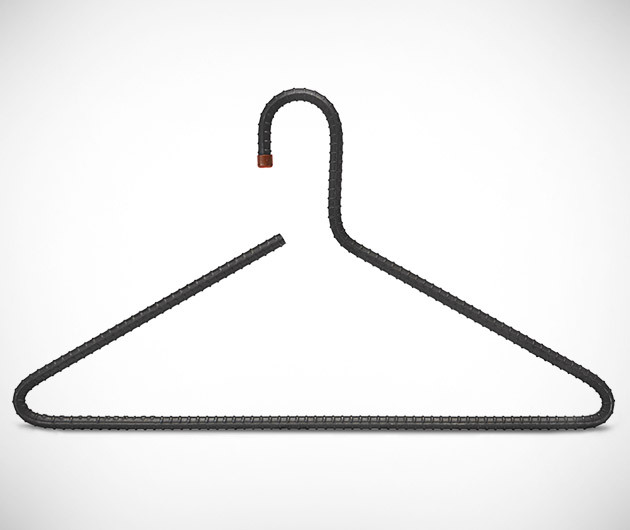 Crafted by the toughest of US hands from industrial-grade rebar, The Man Hanger has also been sealed and coated to resist rust and corrosion. So tough, it could probably double as butcher's hook.